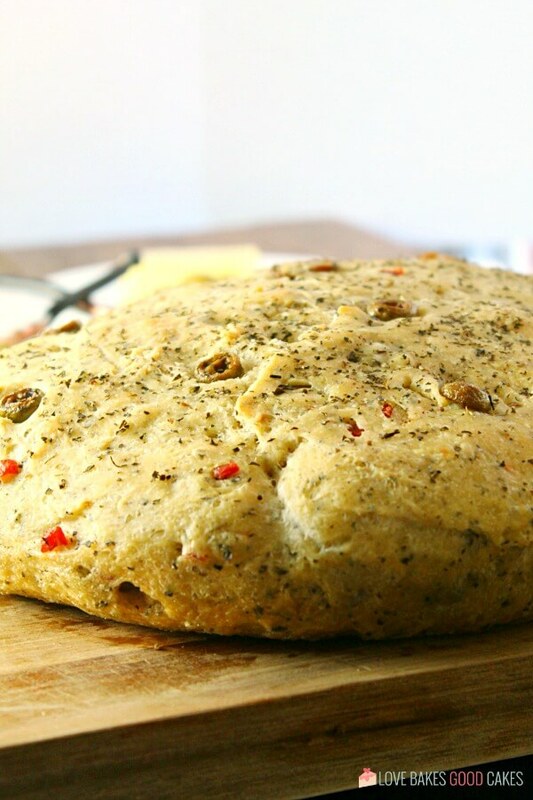 Don’t be intimidated by this No-Knead Skillet Olive Bread! 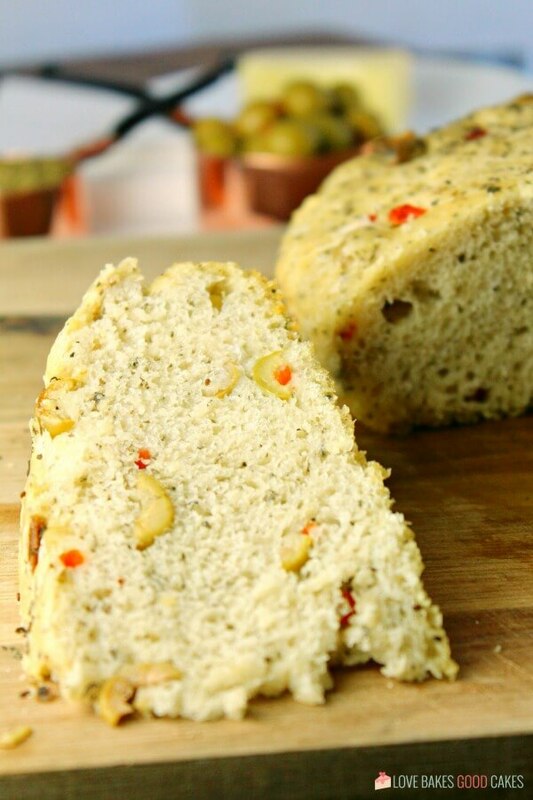 It’s a super easy to make, crusty, homemade bread packed with olives and herbs. You guys! Thanksgiving is tomorrow! Can you believe it? 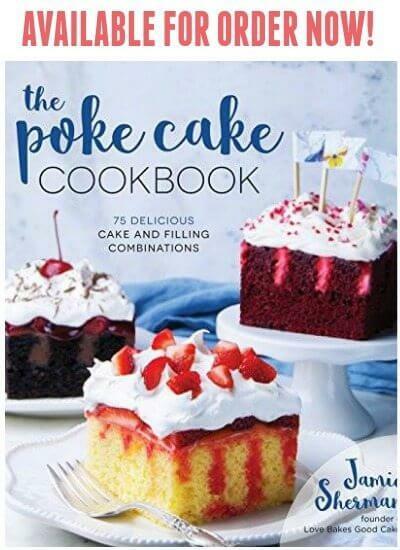 While I feel like I should be sharing Thanksgiving recipes with y’all, I have to be honest. I’m not much of a traditionalist when it comes to Thanksgiving. We don’t usually have the big spread with turkey, mashed potatoes with gravy, stuffing, cranberry sauce, green bean casserole … none of it. 🦃 Okay, we usually DO have pumpkin pie, but really, that’s the extent of it. I should note that I grew up in a very traditional home where my family went all out for Thanksgiving. We had turkey, and sometimes ham too, with all of the sides. But that’s just not me. And really, my family would rather have something else most of the time. As a family, we usually choose a meal that is special for us – this year, we’re grilling steaks and serving them with baked potatoes, a side salad, homemade bread (this No-Knead Skillet Olive Bread to be exact! ), chocolate silk pie, and pumpkin pie. Other years, we’ve smoked brisket, had an Italian feast, and on occasion, we do have a traditional Thanksgiving dinner. 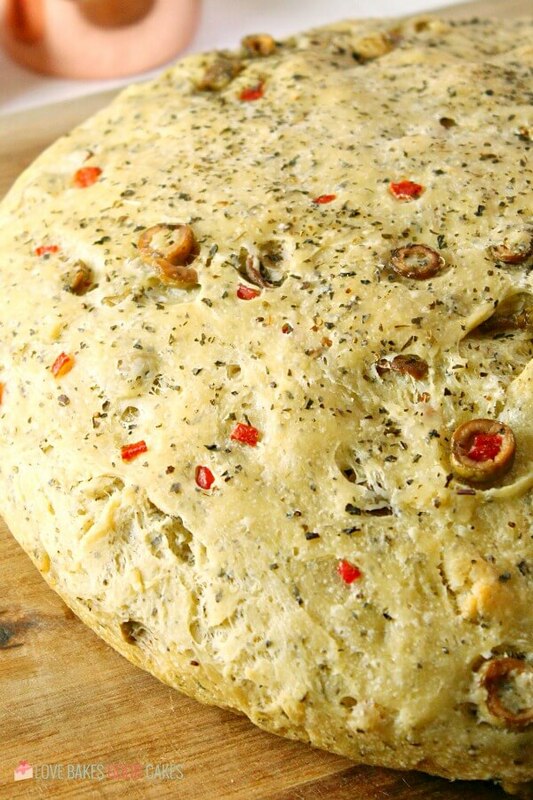 How do you make No-Knead Skillet Olive Bread? 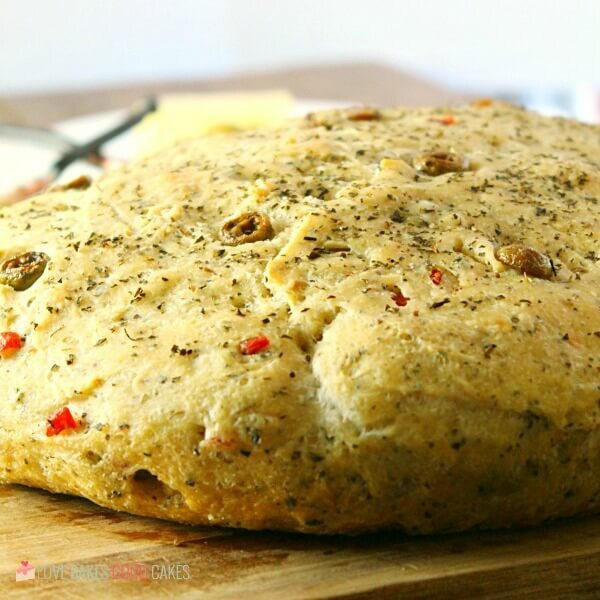 What I love about this No-Knead Skillet Olive Bread is how easy it is to make! You’ll start by proofing your yeast in water. Next, you’ll mix in flour, salt, olives, and seasonings. Let it rest for about an hour. Carefully transfer the dough to a prepared cast iron skillet and let it rest again. Give it a drizzle of olive oil and a sprinkle of salt, before baking it. Once it’s finished baking, we’re going to let it cool before removing the bread from the skillet and slicing into it. Why does the dough need to rise twice? It all comes down to science. Allowing the dough to rise twice results in a finer gluten structure. What does that mean for you? A smaller crumb and less big gaping holes in your bread. 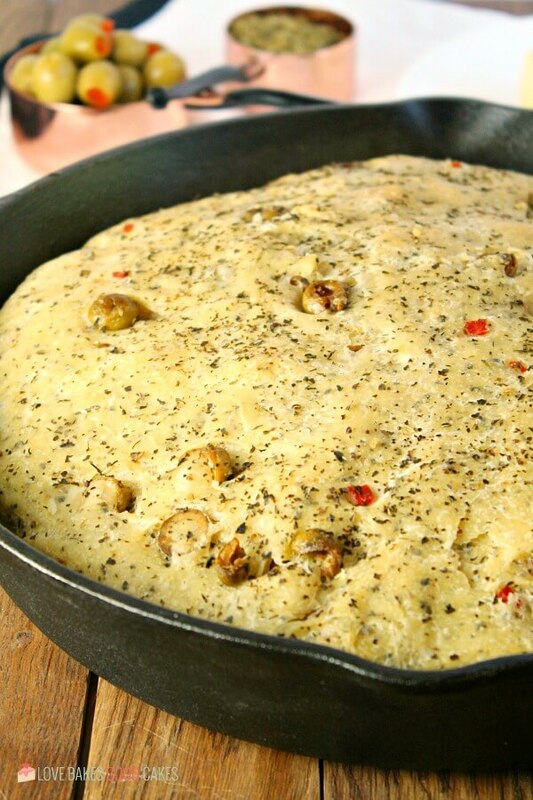 Can I make No-Knead Skillet Olive Bread without a cast iron skillet? 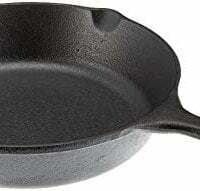 Although a cast iron skillet is the preferred baking method, what do you do if you don’t have a cast iron skillet? If you have a Dutch oven, use that instead! 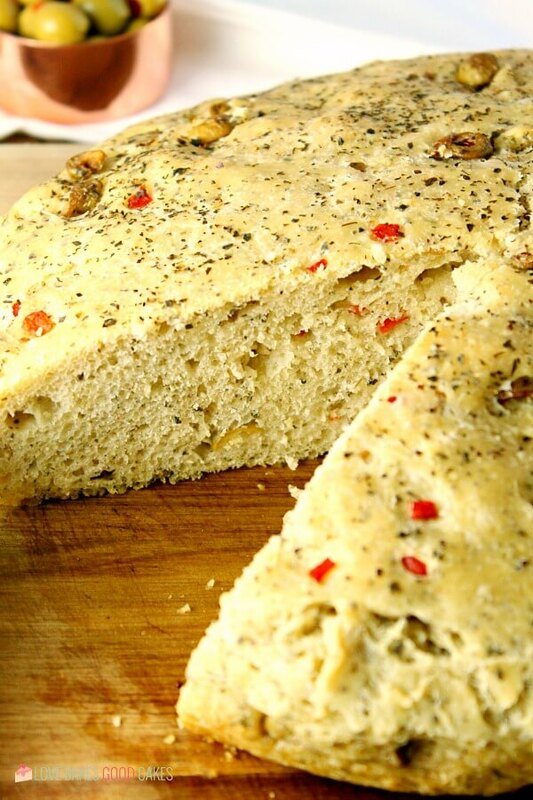 Don't be intimidated by this No-Knead Skillet Olive Bread! 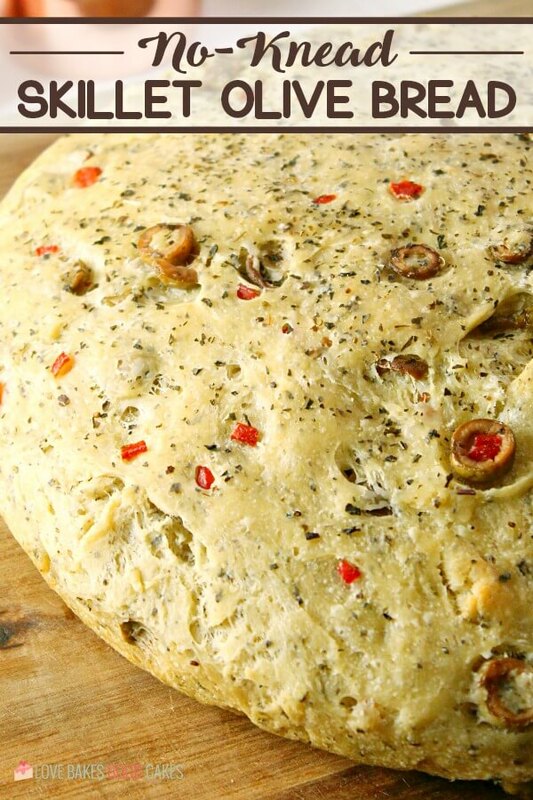 It's a super easy to make, crusty, homemade bread packed with olives and herbs. Add warm water to a medium glass mixing bowl and sprinkle the yeast into the bowl. Let sit for 5-10 minutes to activate the yeast. Add in 1 cup of all-purpose flour and salt and stir to combine. 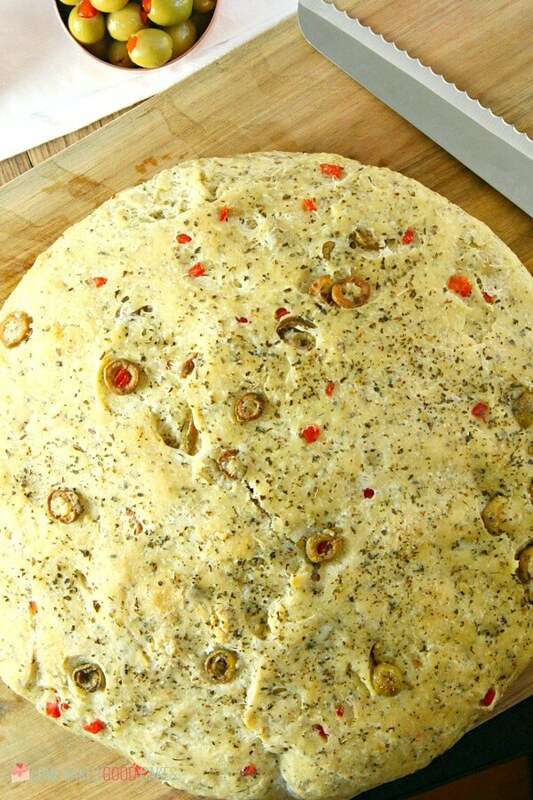 Mix in the olives, dried basil, garlic powder, and remaining flour until well mixed. Cover the bowl with a kitchen towel and let rise for 1 hour. Coat the inside of an 8-inch cast iron skillet with 1 Tbsp. olive oil. With floured hands, transfer risen dough to cast iron skillet. Cover skillet with kitchen towel and let rise for another 30 minutes. 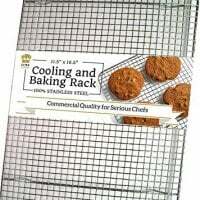 While the dough is rising, preheat oven to 400 degrees F.
Once the dough has risen, drizzle dough with 1 Tbsp. olive oil and top with a large pinch of sea salt. Slice the top of the dough gently with a sharp serrated knife as desired. 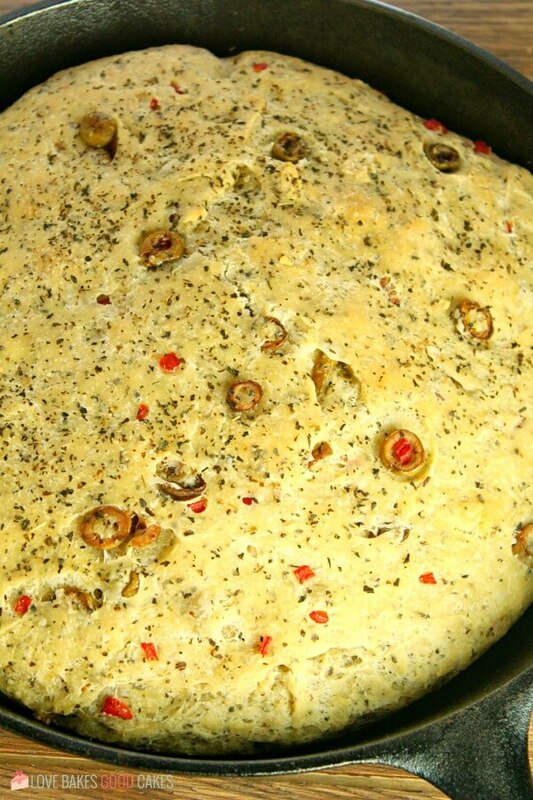 Place skillet with baked bread on a cooling rack. Let cool completely before removing from skillet and trying to slice. This is the best bread I have ever made. I literally can’t stop eating it. It makes the best sandwiches, paninis and toast. And it’s delicious slathered with garlic butter and served along side a wedge salad. Love this bread, thank-you for posting the recipe.